For those of you who have ever met our two black and white clinic cats you probably have heard how food motivated they are. We probably couldn’t tell you how many bags of food or treats they have helped themselves to due to their love of food. When Louis started slowing down while eating and even dropping kibble out of his mouth and walking away we knew something was up. 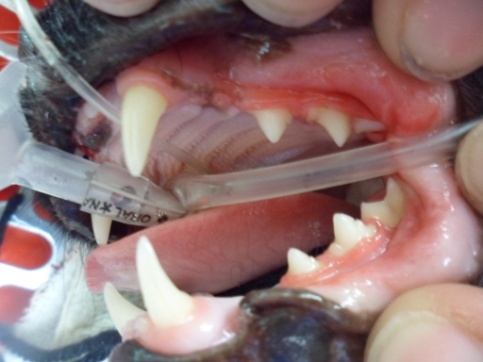 After a physical exam it was determined Louis had stomatitis which is the inflammation of the gums in response to tartar on the teeth. 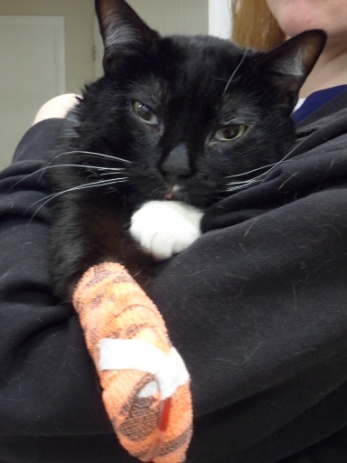 Unfortunately, Louis is one of the few cats that did not respond to regular dental prophys. Shortly after having his teeth cleaned we noticed he was showing some of the same signs as before. Once again, Louis had developed severe stomatitis. We tried putting him on various pain and anti-inflammatory medications but once taken off the symptoms would always return. 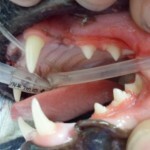 In Louis’ best interest and for his comfort the doctors elected to perform a full mouth extraction with the exception of his four K9s and incisors. There are a lot of pets out there that have lost all their teeth and the owners can tell you what a difference it makes in their quality of life. We’ve all had a toothache before so you can imagine the pain of living with a whole mouth that is sore. Louis is doing FANTASTIC!! He even beat his brother eating breakfast the following morning and happier than ever. We have attached some before and after pictures to demonstrate what was done during his dental procedure. 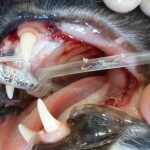 If you have any questions about dental health in your pet or dentistry in general please call the clinic! 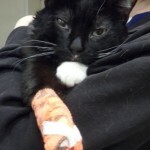 We have a kitty going through the same, she’s been on antibiotics at least 4 times, given steroids ect.. looks like she has the same condition, what does it cost to have this procedure done? There are so many variables with this procedure such as how many extractions are necessary and the time of the procedure can vary quite a bit. 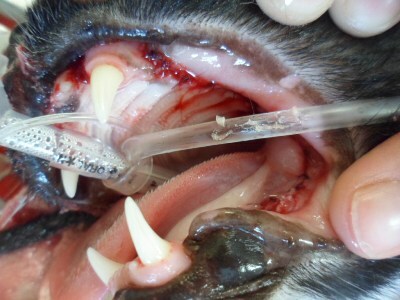 The veterinarian who saw your kitty last will be able to give you the most accurate idea of the cost of this procedure. Please call the clinic with any questions or to get more information! If you have an emergency, please bring your pet to the clinic immediately. If possible, call ahead and let us know the nature of the problem and we will do our best to have a veterinarian available upon your arrival to attend to your pet. 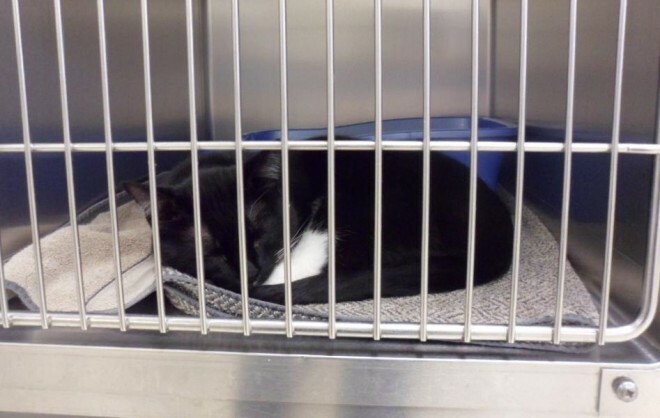 After hours: We are members of the Animal Emergency Clinic of Durham Region. They can be reached at (905)-576-3031. Sign up for our Vitus Vet App! © 2019 Baker Animal Clinic - Veterinary Hospital in Whitby.